After we arrived at our hotel this morning, we went out for a walk because a) it was only 10:30am, and too early to check in b) we didn’t want to fall asleep yet. We are staying in the 6th arrondisement (neighborhood), near the Luxemburg Gardens, so we decided to go check that out, and get some food. First off – wow – colder here than forecast. It was only in the mid-30’s, with crisp skies, and a brisk wind. The Weather Channel forecast was for the high 40’s to low 50’s. Uh, not the same! So, after a short time hanging around in the garden (which is a big park w/kid jungle gym stuff, large gardens, broad walkways, etc), we decided to look for someplace good for lunch. We had a guidebook from my co-worker Erin (thanks! ), and we quickly discovered that L’Atelier du Joel Robuchon was only a 10 minute walk away. Score! Open for lunch at 11:30am too… double score! Before we walked over there, we stopped to get some water at a little kiosk – we were all pretty dehydrated from the flight, and just not drinking enough. I was pleased that the three years of high-school French that I took enabled me to order two Evian waters in French, understand how much it was, and be polite in thanking the attendant. Here we had interesting trans/cultural moment #1 – he also called Anh and I “Mesdames” (“Ladies”) as he thanked us. We walked over to our lunch spot, guided by the ever-present Garmin Nuvi 270. The Nuvi is *awesome* when driving. However, when walking, it has a hard time w/direction of travel, especially when the road gets narrow and the buildings more than three to four stories – this unfortunately is common in Paris. Oh well, we got there. We walk in, and we think SCORE! Its empty, we are definitely going to get a table. The maitre’d asks (in French) if we have a reservation, we say no, and then he says, no tables till 4pm. We say, sorry, but we can’t wait that long for lunch, so we say we’ll find something else, and thank him. Again, we get “Mesdames”’ed. At this point, Anh and I, in our tiredness, broke one of our rules – always eat good food. We settled for a crappy café, and while edible, was not great. Oh well. Walking back to the hotel, we found a kid’s clothes store that looked cool, so we went in, and found hats big enough for us both, and some knit gloves too. We were both super frosty at this point, but at least Anh had brought a hat and mittens for Samwich, or else he would have been a cold little dude. We went back to the hotel, rested a while, and weren’t initially in the mood to go far for dinner, so we asked the concierge – he recommended a 3 Michelin Star place, that he said was good for kids. Huh. But, they didn’t serve for another hour, and we were hungry. We asked him for the next best bet, and he sent us to a place down the block that again, wasn’t great. It was ok – a bottle of wine helped – but not at all great. The other interesting thing in many of the model kitchens was that next to the built-in microwave, there was often a built in espresso maker. I had not seen this before – but super cool! We must have walked through kitchen world, because we came upon this amazing oven store called “Aga”. It was closed, but we took this picture through the window (sorry for the glare). As we came up to the river, and near the Musee D’Orsay (going there soon – my favorite art museum on the planet), we got a full view of the Eiffel Tower. Then, it started “strobing” with all of the small strobe lights. It lasted for about 15 minutes, I have no idea what was going on, but it was gorgeous. We walked a little more, then headed back. On the way, Anh said she was on the lookout for a creperie, and sure enough, right before we got back to the hotel, we found one. Best food of the day – Nutella, banana and coconut shavings. Yum! We all enjoyed. It’s now just about 1am here, Samwich just fell asleep (he slept a lot on our walk – then got up just before we got back and was up for a couple of hours), Anh’s sleeping too – but I’m wide awake, I’m jet lagged, so the result are the last two blog entries. Reflecting on the day’s whole sir/ma’am “French Edition” stuff, it makes me thing (and lots of folks have commented on this), that Sir’ing in the US is super common, but “Miss’ing” or “Ma’am”’ing isn’t. Here, that’s not the case. The language is more polite and far more “gendered” (e.g., even every noun has a gender) – so, its not possible to not be as “gendered” in France. It forces people, even when you are in the “whitespace” (like me) to choose. Today, I was at least 90% of the time, for the people who interacted with me, seen as female. I was honestly surprised about that (how high it was). Anyway… as predicted, its an adventure, and always something new to experience. 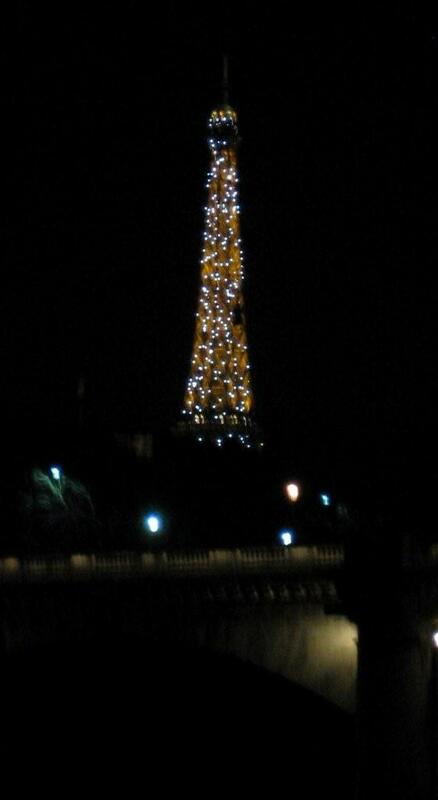 Ah… Paris! I envy you. If you have time, check out la musee de la orangerie. it’s a small museum in the tuileries; downstairs they have an incredible room where monet’s water lillies canvases are displayed. regardless of what you think of impressionist art, the scale of these paintings is amazing. and if nothing else, it’s a great place to warm up in the gardens. Enjoy! Eat a crepe for me…I like all the fillings! Bonjour! Ahh, Paris. J’adore Paris! If you get a chance, go to the Place Madeleine. There are lots of really cool food stores there. 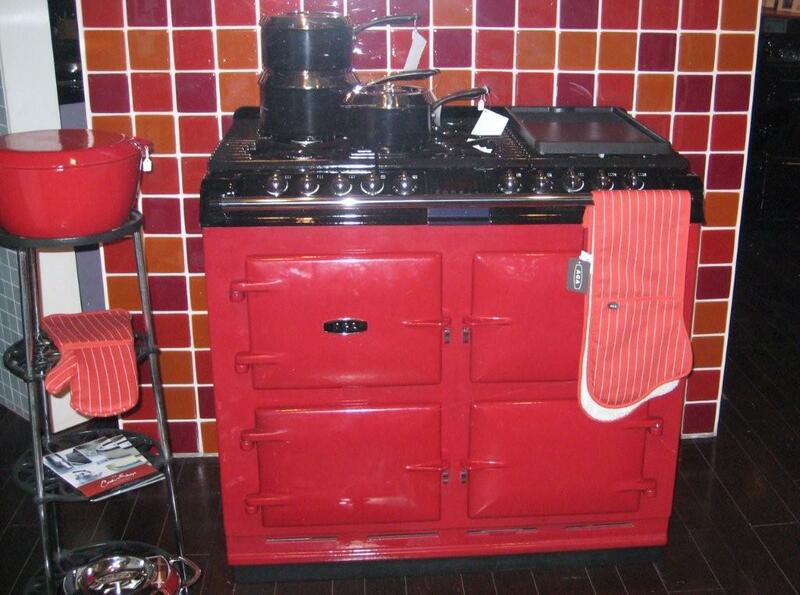 Also, AGA stoves are British. There’s an AGA store near Seattle. I haven’t been, but we should plan a field trip to go see a demo. When I am rich and famous, my little cottage in (wherever) is going to have an AGA stove. Oh! Also…Poilane bread. MON DIEU! C’est magnifique! There’s a shop on the Boulevard St. Germain. I’m sure there are other ones around as well. They have a web site.